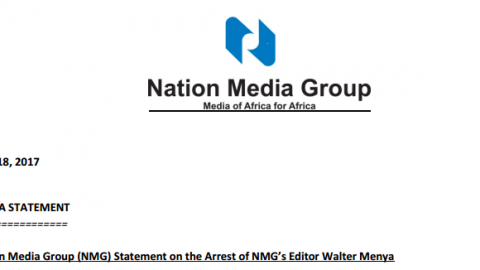 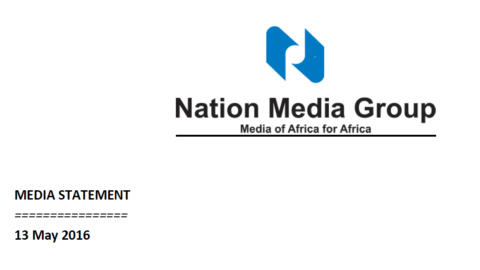 The Board of Nation Media Group announces the resignation of its Group Chief Executive Officer, Mr Joseph Muganda, effective from 31st January 2018. 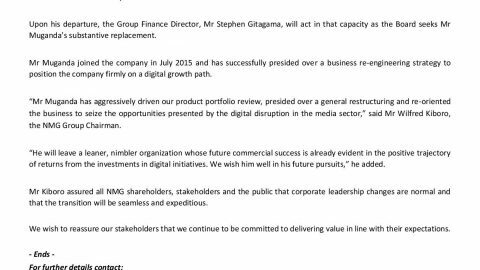 Upon his departure, the Group Finance Director, Mr Stephen Gitagama, will act in that capacity as the Board seeks Mr Muganda’s substantive replacement. 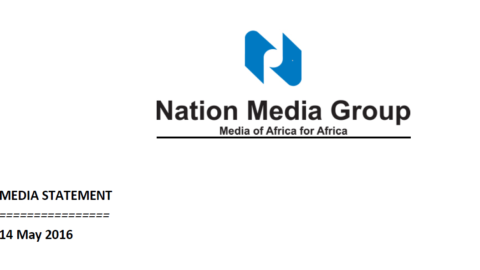 Mr Muganda joined the company in July 2015 and has successfully presided over a business re-engineering strategy to position the company firmly on a digital growth path.